Free Bagels Day is back at What a Bagel! 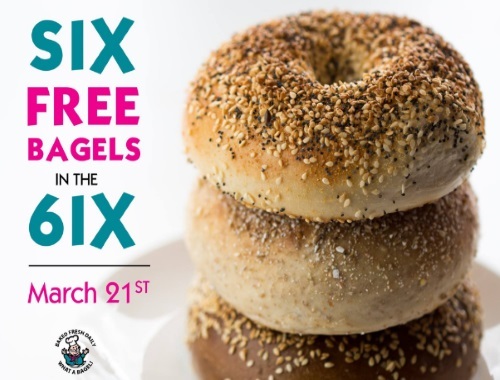 Get six free bagels on Tuesday, March 21, 2017 at What A Bagel! Offer is available all day at all their locations.